Bec Sparrow: why parents need to teach kids how to learn to fail. 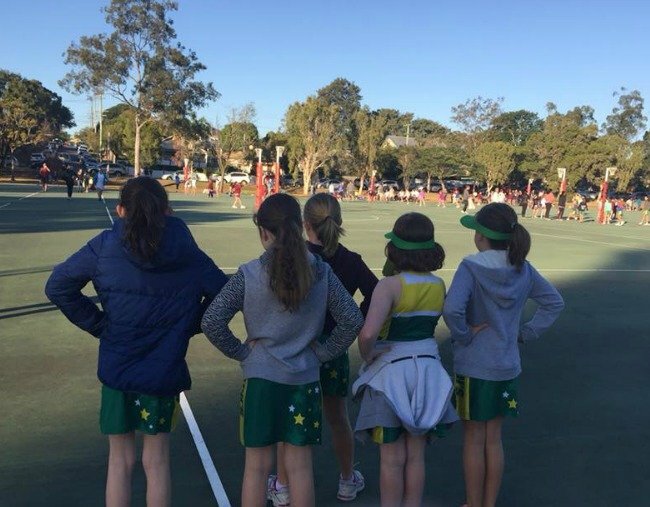 BEC SPARROW: "My little wing attack is trying out for a netball team. Here's the weird bit." Next week my nine-year-old daughter is quite probably going to have her heartbroken. And as strange as it is to say… I’m okay with it. My little wing attack is trying out for a netball team to play in one of those specific inter-school comps. She really wants a spot in the team. Like REALLY. But truth be told her chances of getting in are slim at best. There are only two teams and she’s up against LOTS of kids. She’s up against kids in the grade above. She’s up against kids who’ve been playing netball longer than she has and who are – if we’re being honest – more skilled on the court. We’ve talked about all that – talked it through – but she still wants to throw her hat in the ring knowing disappointment is on the cards. And I’m proud of her for that. Now here’s the weird bit. As much as I really, really want her to score a place in the team, I also hope she doesn’t. Does that sound cruel? Possibly. Bec Sparrow with her daughter. Image: Supplied. But here&apos;s the thing... I want my daughter to build up her resilience muscle. And the fact is, experiencing these inevitable, small disappointments and losses is good for her. It&apos;s helping her develop some grit. It&apos;s teaching her how to handle disappointments and life - as WE ALL KNOW, RIGHT? - is a rollercoaster of triumphs and tragedies, wins and losses. My daughter is only nine. She has years (and years and, er, years) ahead of her at school of dealing with heartbreak. There&apos;ll be other sporting or debating or drama teams she misses out on. School competitions where she bombs out or fails to be awarded a place. There&apos;ll be teachers she doesn&apos;t gel with. Assignments or tests where she&apos;s disappointed with her mark. Parties she&apos;s not invited to. Badges or leadership positions she fails to secure. Does it hurt? Absolutely. It it sometimes unfair? Sure. But that&apos;s high school, right? That&apos;s life. And life is joyous and wonderful and thrilling and it will also stomp your heart into the ground when you least expect it. 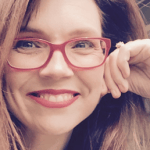 Bec Sparrow talks more about failure and parenting with Holly Wainwright and Andrew Daddo on This Glorious Mess - our podcast for imperfect parents. Want to hear to more? Subscribe to This Glorious Mess. Teachers tell me story after story of parents who email or call to complain when their child doesn&apos;t win a prefect or school captain badge, miss out on a team or are given a B instead of an A in a class. Now maybe there are some exceptions but I&apos;ve got to say, I think that sounds a bit nuts. In a 2015 column called &apos;Want To Raise A Successful Kid? Let Them Fail&apos; clinical psychologist Dr Stephanie O&apos;Leary outlines five benefits kids experience from failure. Experiencing failure helps your child learn to cope. The older you are the first time you &apos;fall&apos; the longer the drop and the harder the landing. Failing teaches your child to persevere. Rescuing your child sends the message you don&apos;t trust them. Of course I want to see my daughter win a place on that netball team. But if she doesn&apos;t - that&apos;s more than okay. Because more than anything, I want her to develop her inner grit. Her bounce-ability. I want her to get comfortable with failure. I want her to learn how to feel the disappointment but then shrug it off knowing that tomorrow is a new day and that she has it within her to rise. What lessons do you want to teach your children? Tell us in the comments section below.